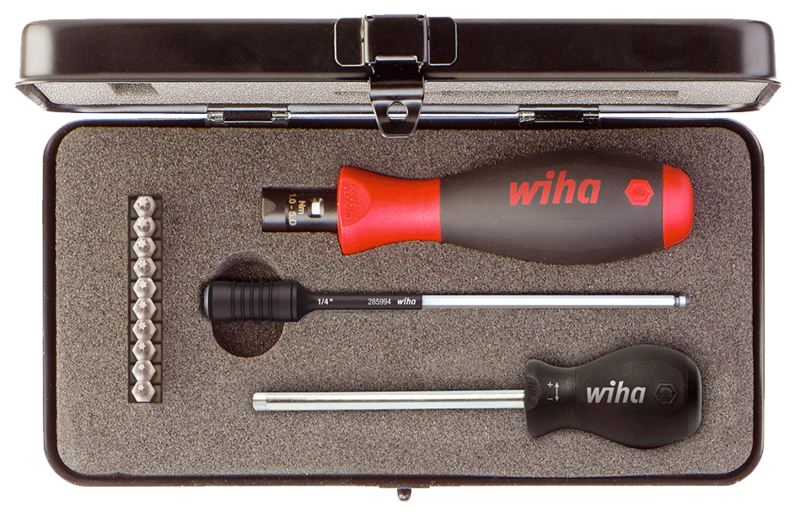 The torque screwdriver TorqueVario from Wiha features high quality, ease of use and functionality – and also design. The TorqueVario is suitable for controlled screwing at a predetermined torque. Reaching the torque is signalled by a click. The multi-component handle makes using easier. Thanks to the light, compact built, the TorqueVario fits into any tool case.